Register for the Baysox Futures Club for FREE Today! Silver Sox Seniors Club - Register For FREE Today! 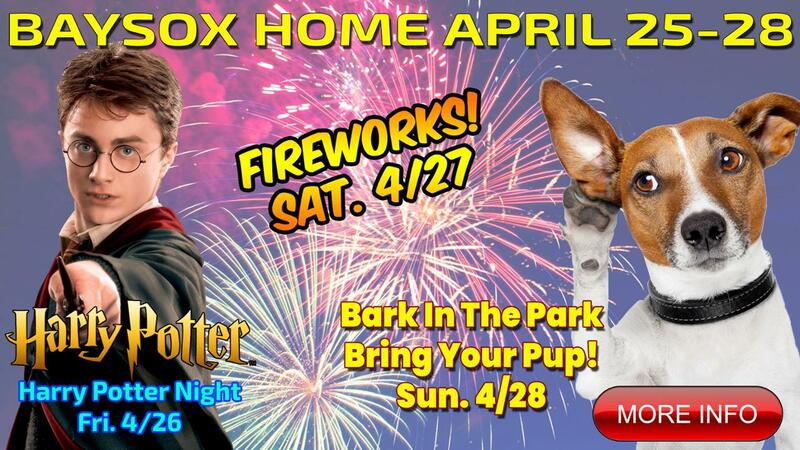 Bring your pup to the ballpark on Monday nights this season for MUTT MONDAY! Every Monday night home game in 2019 is Mutt Monday where you can bring your pup out to the game! Dogs are admitted free and they must be on a leash and have their up-to-date vaccinations tags or paperwork to enter the stadium. Mutt Mondays at the Baysox are sponsored by Veterinary Neurology & Imaging of the Chesapeake. Two Buck Tuesdays & Dollar Dog Night at the Baysox is the best bargain in baseball! Purchase a Box Seat Ticket for a Tuesday night game at regular price and get the second Box Seat Ticket for just TWO BUCKS! To take advantage of this great deal, tickets must be purchased at least one day in advance of the game date you wish to attend. Great ballpark hot dogs are also just $1.00 each Tuesday Night! Your children can Learn From The Pros this summer at the Baysox Youth Baseball Camps! This summer, the Baysox will offer three summer camp sessions to choose from! There are two three-day camp sessions (June 24-26 and August 13-15) and one two-day camp session (July 18-19). Registration is limited for each camp session, so don't wait, register your kids today!